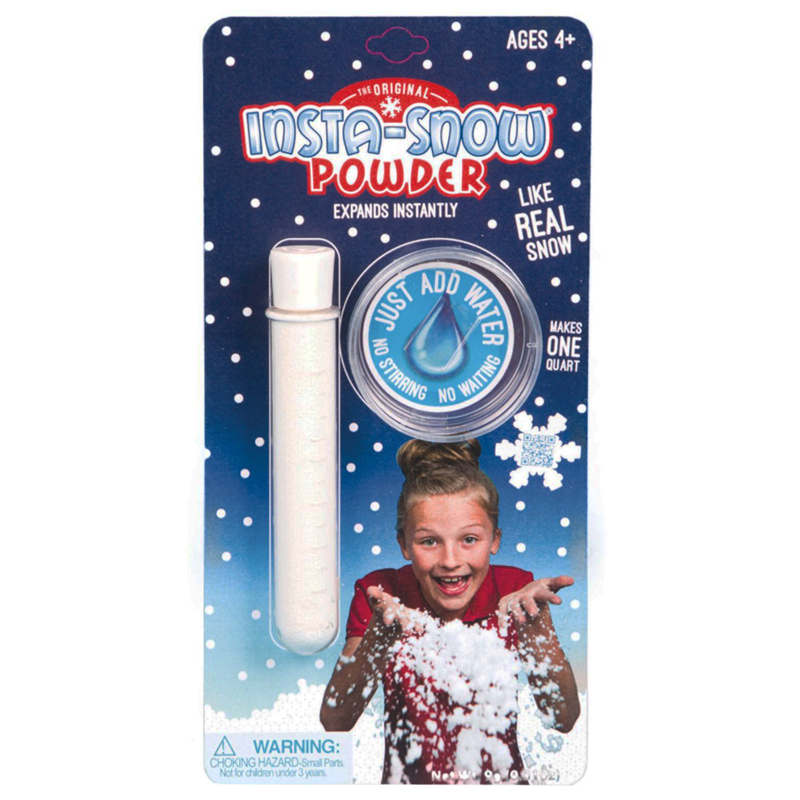 Just add water to a sprinkle of Insta-Snow® for an amazing reaction that erupts before your eyes. You'll create "snow" so realistic that you will fool and amaze your family, friends, and any movie camera. Insta-Snow® is a good base for great science project ideas. Explore the properties of water-absorbent polymers and use the scientific method to as you design experiments and test them for instant results.